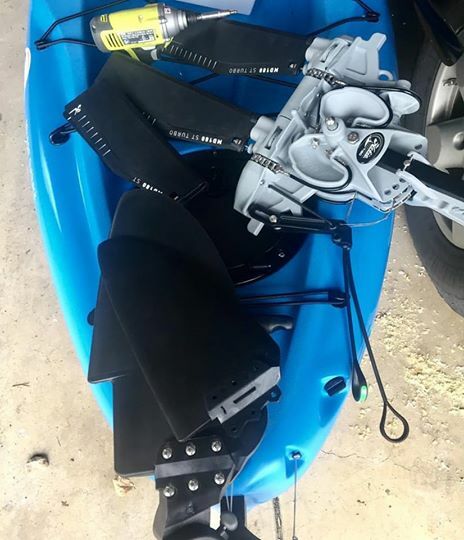 Now that the new kayak is home, it's time to start setting it up the way I like to rig my Hobie Outbacks! I will be doing a number of how-to videos of everything that I like to do to my kayaks. The first things that I do before I even take the kayak on the water is to upgrade the rudder and change out the standard fins on the mirage drive to turbo fins! This first video is all about the rudder swap which happens to be one of the easiest upgrades you can make!! Even sweeter is that this is only a $35 upgrade!! If you would like to do any of the modifications you will see on my kayak, call Quest Watersports in Ottawa, IL!! The next video will be for the turbo fins!! I had never paid much attention to them because it wasn't convenient for me to go there. I had a Bass Pro closer to me and, of course, there was always the internet. Still, I feel the need to buy something and have it in my hand at the exact same time. Even with so many online retailers offering next day shipping, there are times when I need and/or want something right now! 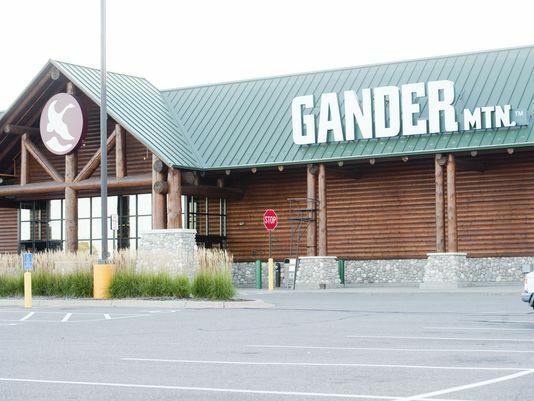 When my wife and I bought our new house a few years ago, I suddenly found myself within five minutes of a Gander Mountain and a half hour from my old "need now" store. Quite frankly, I was excited. The first time I went in to the store, I found myself a little confused. The outside of the building certainly had all the promise of a great store for people like me. You know the type...the outdoors lover. The person who loves to look at things that remind you of a rustic scene with water and animals all around. The person that wants to stroll through the aisles and day dream about leaving everything else behind one day and just live off the land. The outside had big rustic logs and that ever so classic green awning with the smatterings of rough rocks used to build very old structures. It felt great from the outside. When I walked through the doors, I felt a bit betrayed. There was no fireplace or rustic log cabin feel. It was dull and...cheap feeling? It reminded me of Aldi on the inside. I like Aldi, honestly. The displays are utilitarian at best and many things are just stacked on the floors or left on the original shipping pallets until empty. I really don't mind that because it's cheap. Sure I can go to much fancier grocery store. I'll spend more but have a nicer experience. But the thing is, Aldi owns it. They don't pretend to be something they aren't. There is no facade that says, "Nice store" or "Feel good spending money here". The buildings are drab bricks and there are very few windows. They never trick you. Rather than walking out, I gave it a shot. Maybe it was like Aldi? At least on the inside? Maybe I'd find a good selection but cheaper pricing? As I walked though the drab aisles and bargain bin feeling displays, I finally made it to the fishing section. I walked up and down the three whole aisles of stuff they had and could find no logical order in which things were merchandized. In one aisle, I found some football head jigs, a fly fishing net, and a selection of barbie fishing poles. In another aisle, I found some plastic worms, musky baits, and some spinners. If I wanted crank baits, the aisle caps seemed to be the place to go but then I found some more in the middle of the third aisle. The entire thing was just a giant jumbled mix of stuff. To make things worse, they weren't even cheap! As a matter of fact, they were notably more expensive! I finally found some fishing line off in the corner but everything I wanted was locked up and I would have to call an associate over to actually get some. Not a problem. Call guy over, gets line (which was about $3 more expensive than other stores), and I say thanks - can I get that on this reel? He looks at me with an almost annoyed look. Then tells me that it's $5 to put that line on my reel. I was quite surprised so I just said, "Oh...OK. No problem. I'll just do it at home." At that point, I was done with my first attempt at Gander. I bought the line just because I needed it, but I felt a little sick about it. I just wanted to leave so I didn't bother asking them to at least price match. Since that time, I have been back in a few emergency situations. The one exception to that is boots. I did buy a pair of winter boots there that are stellar. They are house brand but I love those things. Each time I've been back, they always ask if I want to get the rewards card but I always decline because in my mind, this will be the last time I go there. While I do come back for the pure convenience of the location, I pretty much only buy the absolute minimum of what I need. There are no impulse buys there for me. The point is this...I am hoping that the restructuring opportunity provided by chapter 11 will be the injection of life that this store needs. I hope that they can find a way to create an environment that will make people like me wander the aisles and day dream. I hope that they figure out how to create an experience that will actually make me want to come back for no other reason than wanting to come back. I hope that they can actually figure out a way to organize a store in way that makes sense. I hope that I won't feel like I just got raked over the coals because I had no other choice. If they don't take this opportunity to do the above, then this is going to be next Sears. A brand that absolutely can't reinvent themselves. Worse yet, a brand that can't even figure out how to appeal to the people it already attracts. Of course, if they don't want to improve on any of those things, perhaps they can hold on to the Aldi type feeling that they portray on the inside but actually be cheaper! Crazy right?! Look cheap so be cheap...pretty novel idea. Really, Gander Mountain...please do one of the above suggestions. I want to like you. I really do. I want to want to spend my money with you. Help me help you.